In today’s technology-driven world, a robust IT infrastructure is fundamental for an institution’s success, but it is unfeasible to have all the latest hardware and the right software solutions on-campus. BlackBeltHelp OneStop IT Support is designed to fill such gaps and arm an institution with all the tools, apps, resources essential for providing a 24x7 “instant IT support” experience to its end-users. OneStop IT Support, a comprehensive bundle of IT support applications and services designed to help higher-ed institutions tackle their IT challenges holistically, not only creates a 24x7 IT support ecosystem at the user institution but also delivers measurable ROI. 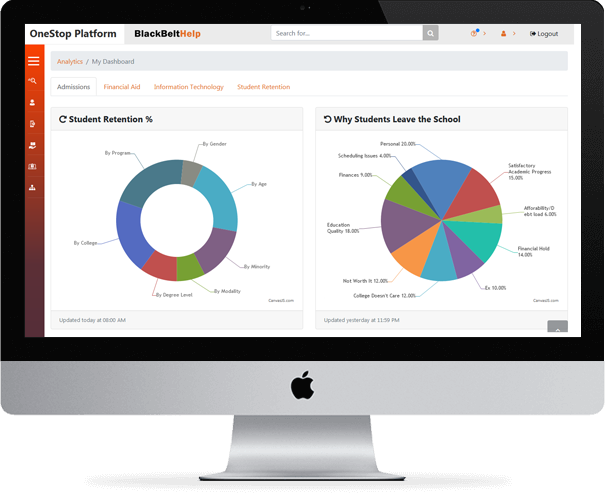 BlackBeltHelp Platform helps institutions unify all applications into a single, easy-to-use dashboard to drive institutional processes, build integrated ecosystems and accelerate student success. We use powerful, intuitive software applications capable of automated data sharing and workflow integrations to offer your end-users a seamless customer service experience. 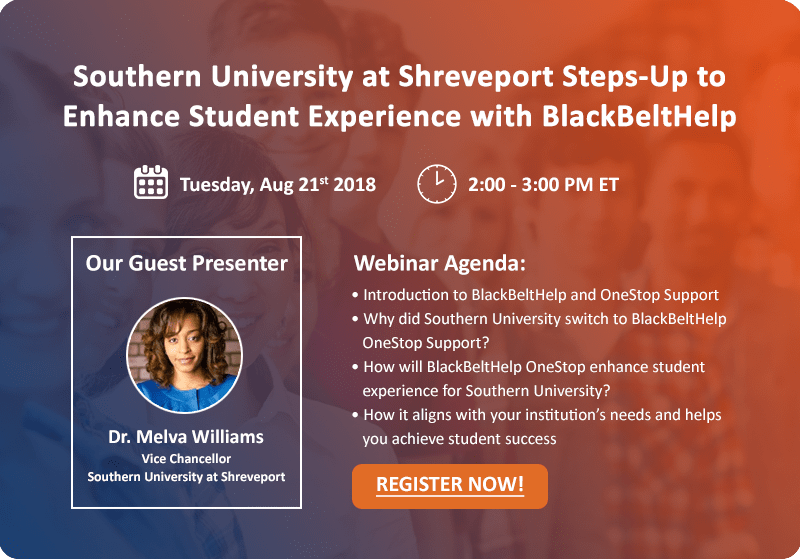 BlackBeltHelp’s Lexicon is a public knowledge base which empowers an institution’s students and faculty to solve their problems on their own, cutting down the institution’s help desk costs and reducing the problem resolution time. From enabling your help desk agents to find the right answers faster to student self-service, Lexicon is your institution’s own search engine for guided resolution to any user issues. We understand that data is fundamental for institutional success. 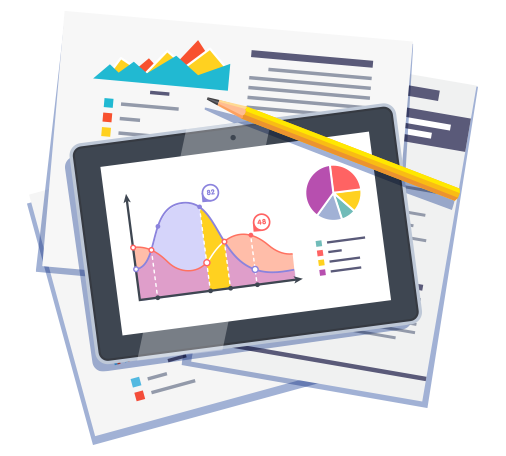 Whether it is having a clearer view of historical student data or having actionable insights into which of their strategies are yielding results, all leading institutions today swear by analytics. BlackBeltHelp’s Password Manager is a web-based application that provides an easy-to-implement and use, yet highly secure, password management solution. 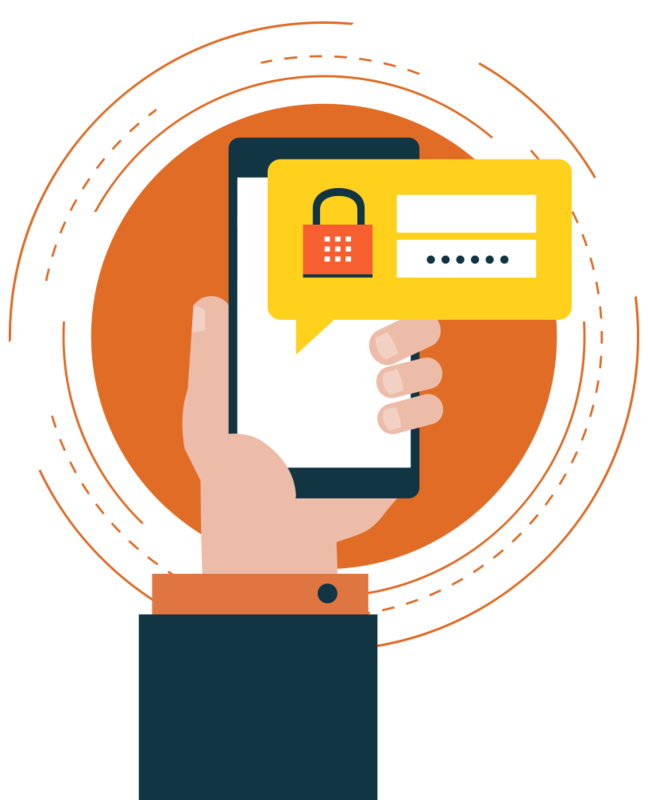 As a responsive web application, it can be restructured and applied on the user’s favorite device such as desktop, mobile and tab, enabling them to self-manage their password security profile by setting up recovery emails and security questions. 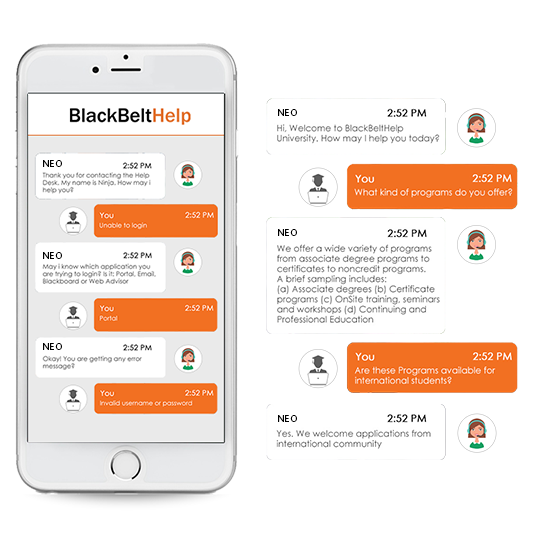 We use a cloud-based interaction management system that routes all of our end users’ calls, emails, chats, and web forms to BlackBeltHelp’s advisors seamlessly, without any errors. 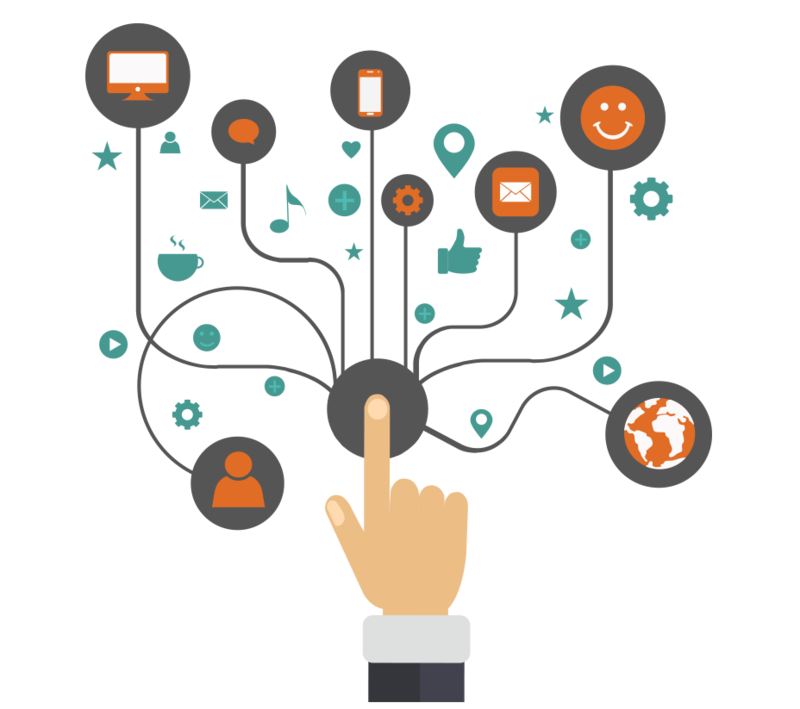 Along with an ability to customize IVR flow for each interaction, it is reliable and comes with a 99.9% up-time. 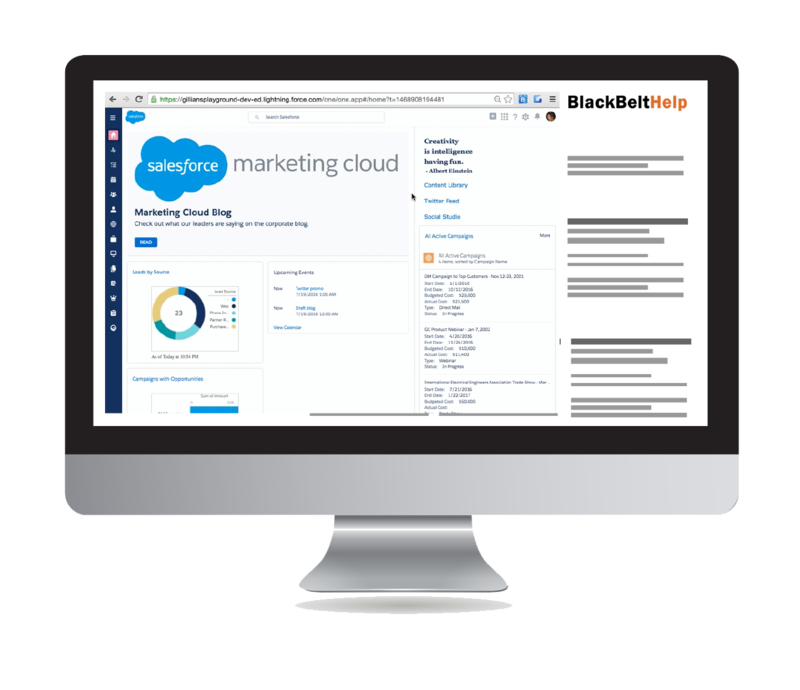 At BlackBeltHelp, we provide help desk ticketing system or ITSM tool (powered by Salesforce®), to capture queries received via voice calls, emails, and chats. All our services and our entire work culture is enhanced by the seamless relationship management support. With a less than 5 seconds average speed to answer, our AI-enabled chat support lets your end-users have immediate access to support. Our intelligent chatbot lets your customers solve their support issues within minutes and reduces the number of help desk interactions bringing down your help desk costs. It handles multiple users simultaneously and transfers the issue to a live agent in case the issue requires human expertise. 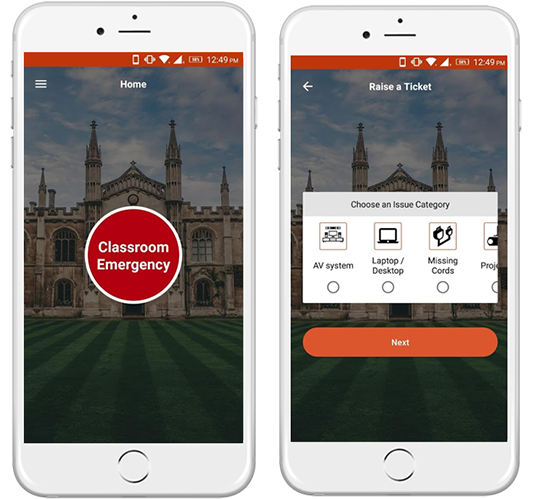 BlackBeltHelp – Classroom Emergency App(CEA) is a white labelled app that assists in assigning tasks to technicians, resolving technical issues quickly, and analyzing technician’s performance. So, whether it’s your projector that goes awry in midst of a classroom presentation or it’s your laptop sound that stops working while teaching your students how to mix music, you just click a button and CEA has got you covered. CEA sorts all your desktop, laptop, network, projector issues instantly. 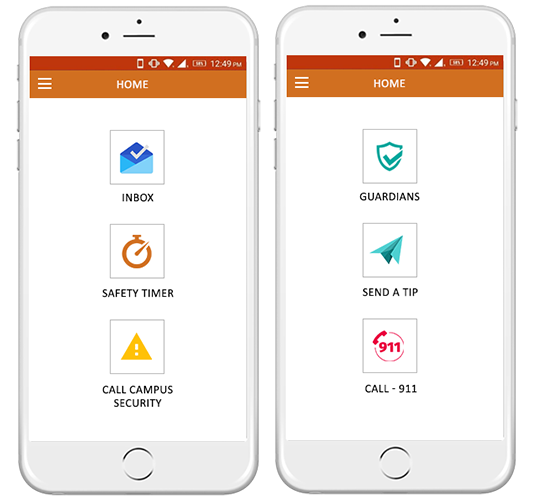 BlackBeltHelp Campus Safety App lets users alert the campus security and designated guardians with their exact location in case of emergencies by tapping the app icon once. The app has been developed to promote rapid call-for-action and replace the traditional BlueLight phones.